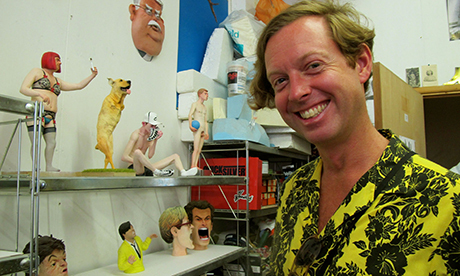 Hundreds of artists are to throw open the doors of their studios this month for the annual Hackney WickED DIY Open Studios event. Members of the public are invited to explore the “labyrinth of creative spaces” in what is famously the world’s most densely-populated area of artists during the last weekend of July. The annual event allows the public to view art in the environment in which it was made as well as providing the chance to meet and talk with local artists. The launch party on the evening of Friday 29 July explores subversive culture, with an opportunity to get ‘greased up’ at Mick’s Garage in Queen’s Yard, with live art performances from the likes of Strontium 92, Stray Transmission and the London Sound Painting Orchestra. Through the weekend, artists across 20 buildings will be displaying their wares, and there will be immersive live art performances taking place spontaneously across Hackney Wick and Fish Island. 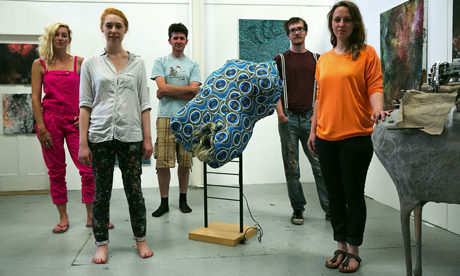 Artists’ studios in Hackney Wick such as those on Wallis Road have come under threat in recent years, so the ethos of the Open Studios event is “let’s enjoy it while we can”. Hackney WickED director Anna Maloney told the Hackney Citizen last year that “change is the only certain thing, so we want people to come to the area, see the art, check out the boundless talent and enjoy what we have”. Site maps will be available for collection at Mick’s Garage in Queen’s Yard.